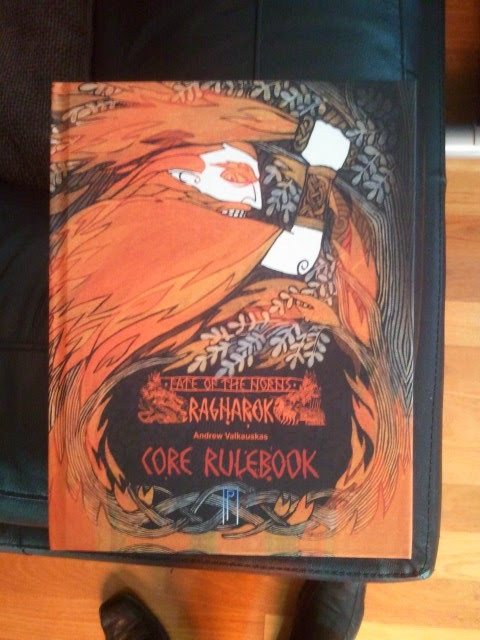 My Fate of the Norns (Kickstarter) rulebook arrived yesterday and I must say the book is BEAUTIFUL! The colours and consistent art are brilliant, the pages are glossy and the cover awesome. This book is sensuous (ok so I am a bit of a bookaphile). No idea if the game is any good.